Harold Urey was an American physicist and chemist who received the Nobel Prize in Chemistry for his discovery of deuterium. Check out this biography to know about her childhood, life, achievements, works & timeline. Harold Urey was an American physicist and chemist who came to prominence for his pioneering work on isotopes. He led the discovery of the deuterium—a heavy form of hydrogen— that earned him a Nobel Prize in Chemistry in 1934. Other than this, he also played a significant role in the development of atomic bomb during World War II. Urey was born in Walkerton, Indiana to a teacher father. He studied thermodynamics under Gilbert N Lewis and completed his PhD in 1923. Following his doctorate, he started off as a research associate at John Hopkins University before taking up the seat of associate professor of Chemistry at Columbia University. In 1931, Urey discovered the deuterium, which he initially referred to as a heavy form of hydrogen. Following this, he became world renowned as an expert of isotope separation. During World War II, Urey directed his energies towards uranium separation and its enrichment using gaseous diffusion. 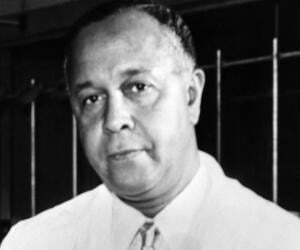 Post war, Urey took up professorship. 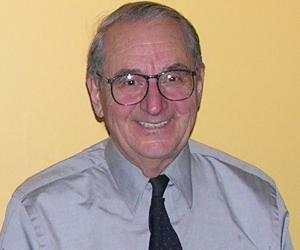 Towards the end of his career, he studied space science and was amongst the six scientists who studied space samples brought forth by Apollo 11 at the Lunar Receiving Laboratory. Harold Urey was born as Harold Clayton Urey to Samuel Clayton Urey and Cora Rebecca née Reinoehl on April 29, 1893 in Walkerton, Indiana. He was the eldest child of the couple and two had younger siblings, a brother and sister. His father passed away when Urey was six. Young Urey gained his early education from Amish Grade School before enrolling at a high school in Kendallville, Indiana. He obtained a teacher’s certificate from the Earlham College. In 1914, Urey enrolled himself at the University of Montana in Missoula. Three years later, he graduated with a Bachelor’s degree in Zoology. Same year, US entered World War I. Urey took a wartime job with Barrett Chemical Company, making TNT. Post World-War I, he took up job as an instructor in Chemistry at the University of Montana. In 1921, he enrolled for a PhD program at the University of California, Berkeley, where he studied thermodynamics. His work led to accepted methods for calculating thermodynamic properties from spectroscopic data. Upon completing his PhD in 1923, Urey gained a fellowship by the American-Scandinavian Foundation to study at the Niels Bohr Institute in Copenhagen under the Danish physicist. Returning to United States, he received two offers - a fellowship to Harvard University and a research associate at Johns Hopkins University. He chose the latter. In 1929, he was appointed as an associate professor of Chemistry at the Columbia University. Following year, along with Arthur Ruark, Urey penned ‘Atoms, Quanta and Molecules’. The book was one of the first written works on quantum mechanics and its application to atomic and molecular system. During the 1930s, the theory of isotopes had been developed. Chemists from around the world were aware that an element may consist of atoms with the same number of protons but different masses. While the isotopes of carbon, nitrogen and oxygen had been discovered, the discovery of the isotopes of hydrogen remained a mystery. As such, Urey set forth himself to find out the isotopes of hydrogen. Along with a fellow chemist, Murphy, Urey conducted a series of experiments that could help him calculate about the isotopes of hydrogen. He even travelled to cryogenics laboratory at the National Bureau of Standards in Washington DC to obtain liquid hydrogen which they could use in their experiments. With the help of Ferdinand Brickwedde and Murphy, Urey conducted experimental research. He evaporated hydrogen multiple times. Finally, the trio saw the Balmer lines for ‘Heavy Hydrogen’ which was seven times intense than normal. It was then that they were confirmed about their discovery of what we today know as deuterium. 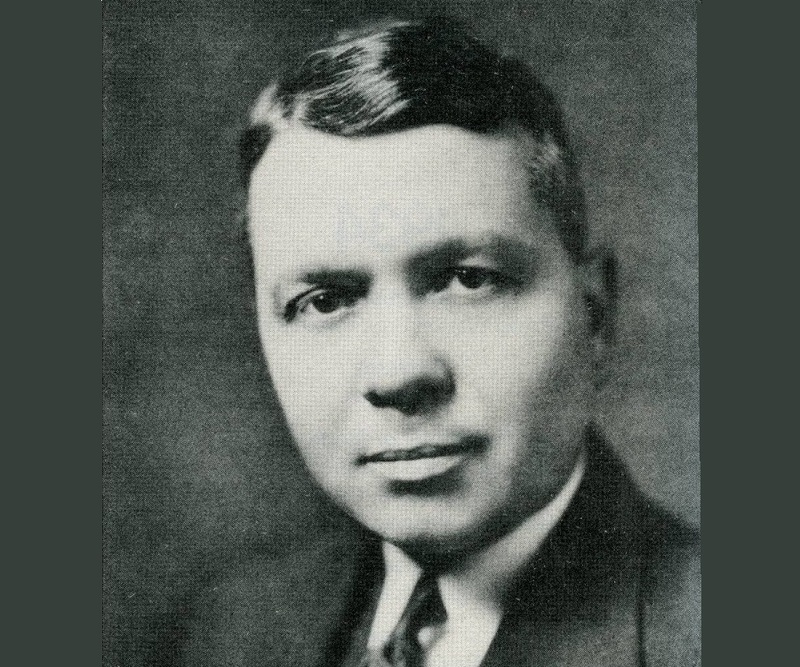 In 1932, Urey along with Murphy and Brickwedde published a paper that publically stated the discovery of deuterium. Same year, he was promoted to the post of Professor at Columbia University. He also founded the Journal of Chemical Physics and served as its first editor, a post he retained until 1940. Urey’s investigation and research did not stop with deuterium. He continued to find out more about the isotopes of carbon, nitrogen, hydrogen, oxygen and sulphur. He continuously developed successful methods for separating rarer isotopes of all these elements, making them readily available for laboratory research. By the time World War II broke out, Urey had come to prominence in the scientific world and was popularly called the world expert on isotope separation. However, until then, he dealt with lighter element only. In 1939, he published papers that gave an insight on the separation of heavier isotope using centrifugal separation. When Danish physicist Neils Bohr stated that uranium 235 was potentially fissile, his recommendation came under scrutiny. To clear doubts, Urey began to study about uranium intensively. He used all the experimental techniques right from gaseous diffusion to thermal diffusion to find out the result. In 1941, he was part of the team of the Office of Scientific Research and Development that conducted the uranium research. Following year, he travelled to England with George B Pegram to establish co-operation on development of the atomic bomb. Urey was appointed as the head of the wartime Substitute Alloy Materials Laboratory at Columbia. It was only in 1943 that the Manhattan Project gained momentum. Just as expected the operation which was huge and complex was marred by various problems. Development of a suitable diffusion barrier for the uranium hexafluoride was a majorly complex. Gaseous diffusion was preferred than the centrifugal method. Towards the end of 1943, Urey had a workforce of 700 people working under him. The gaseous diffusion process had its own technical challenges but was more encouraging than the rest. It eventually was successfully developed and became the sole method used in post-war years. For his work on the Manhattan Project, Urey was awarded the Medal for Merit by the Project director, Major General Leslie R. Groves, Jr. Following World War II, Urey took up the post of a Distinguished Service Professor of Chemistry at the Institute for Nuclear Studies at University of Chicago. 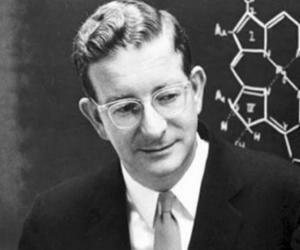 In 1952, he became Ryerson professor of chemistry. During 1956 and 1957, he was George Eastman Visiting Professor at the University of Oxford, and in 1958 took up his post as Professor-at-Large, University of California. Post war, Urey all through campaigned against military control of nuclear energy. He instead supported the creation of Atomic Energy Commission. Urey also went on lecture tours against war and became actively involved in Congressional debates regarding nuclear issues. Towards the end of his life, Urey dedicated himself to research programs on planetary sciences. He came out with the book, ‘The Planets: Their Origin and Development’ in which he mentioned a detailed chronology of the origin of Earth, Moon, meteorites and the solar system. He was amongst the six scientists who studied lunar samples brought by Apollo 11, examining them at the Lunar Receiving Laboratory. Harold Urey is best remembered as the world expert on isotope separation. His pioneering work came during the 1930s and 1940s decade when he started working on separation of isotopes. It was due to his rigorous experimental work that finally deuterium, an isotope of hydrogen was discovered. During World War II, he dedicated himself to isotope separation of uranium and uranium enrichment. He successfully developed the same using the method of gaseous diffusion. In 1934, Urey won the Nobel Prize in Chemistry for his discovery of deuterium. Same year, he also received the Willard Gibbs Medal by the American Chemical Society. In 1940, he was bestowed with the Davy Medal by Royal Society, London. Three years later, he was awarded Franklin Medal and in 1946 was the proud recipient of Medal for Merit for his work on Manhattan Project. 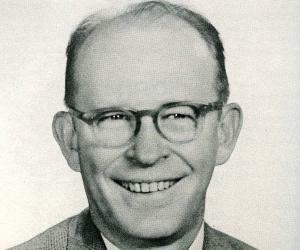 Between 1954 and 1955, Urey was thrice honoured, first with Cordoza Award, later with Honor Scroll Award by American Institute of Chemists ad later with Joseph Priestley Award. Urey married Frieda in 1926 at Lawrence, Kansas. The couple was blessed with four children, Gertrude Bessie (Elisabeth) in 1927, Frieda Rebecca in 1929, Mary Alice in 1934 and John Clayton Urey in 1939. 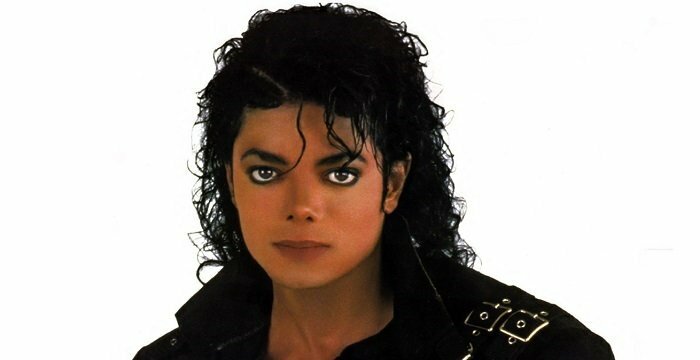 He breathed his last on January 5, 1981, at La Jolla, California. He was buried at the Fairfield Cemetery in DeKalb County, Indiana. A lunar impact crater and asteroid 4716 has been named after him.